• Almost 10% of a cat’s bones are in its tail, and the tail is used to maintain balance. • Cat families usually play best in even numbers. Cats and kittens should be acquired in pairs whenever possible. • Baking chocolate is the most dangerous chocolate to your cat. 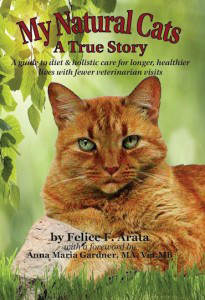 • You check your cats pulse on the inside of the back thigh, where the leg joins to the body. Normal for cats: 110-170 beats per minute. • Jaguars are the only big cats that don’t roar. • A cats field of vision is about 185 degrees.